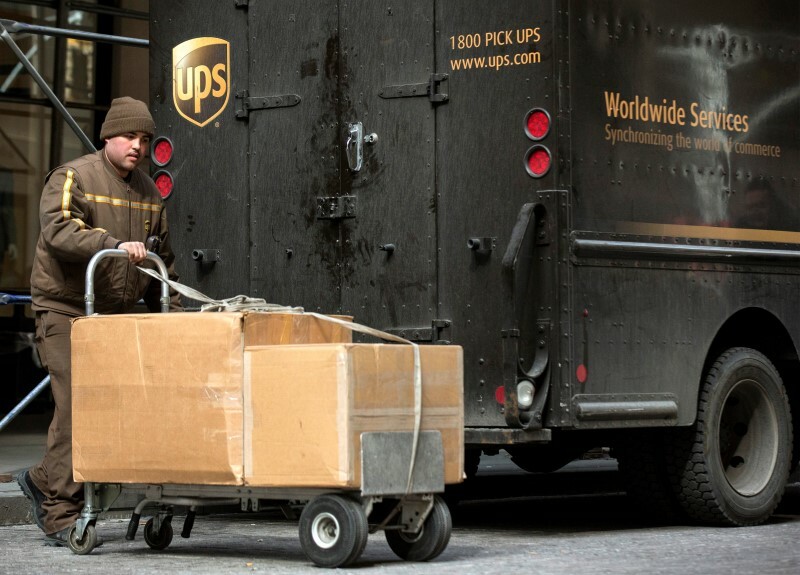 With UPS we offer 3 different ways of shipping: UPS Standard to Access Points, UPS Standard and UPS Saver Express. When you decide to choose UPS as a shipping method, we recommend that you check extremely accurately what you are going to send with this carrier. The surcharge prices are higher than others. In order to choose the right shipping method to avoid surcharges, is extremely important to take into account the volume weight of the shipment. The package weighs 2kg, but has a volume weight of 34kg, then the shipping method of 34kg must be chosen. The package weighs a pack of 27kg, but is the volume weight 8kg then the shipping method of 27kg must be chosen. In addition to being aware of the volume weight, good packaging is also essential. All items packed in a metal or wood outer container. All packages with a real weight of more than 32 kg. A large package fee will be charged for each UPS package whose length plus size [(2 x width) + (2 x height)] exceeds 330 cm, but not more than the maximum UPS size of 419 cm. For Large Packages, a minimum weight of 40 kg will be charged, in addition to the large package fee. No additional handling fee will be charged if the bulk package fee applies. As with all other carriers, UPS can also prevent the package from reaching a difficult to reach location. If you would like to know more about this, please click on the link below. Packages with an actual weight of more than 70 kg or with a length of more than 274 cm or with a total length + size [(2 x width) + (2 x height)] of more than 419 cm are not accepted for transportation. If they are found in the UPS system for small packages, additional costs will be charged. For parcels whose belt size (length + 2 x width + 2 x height) is more than 419 cm, the large package surcharge will also be charged. For additional information about the fees, please visit the UPS page below. Always read these carefully before you ship with this carrier.